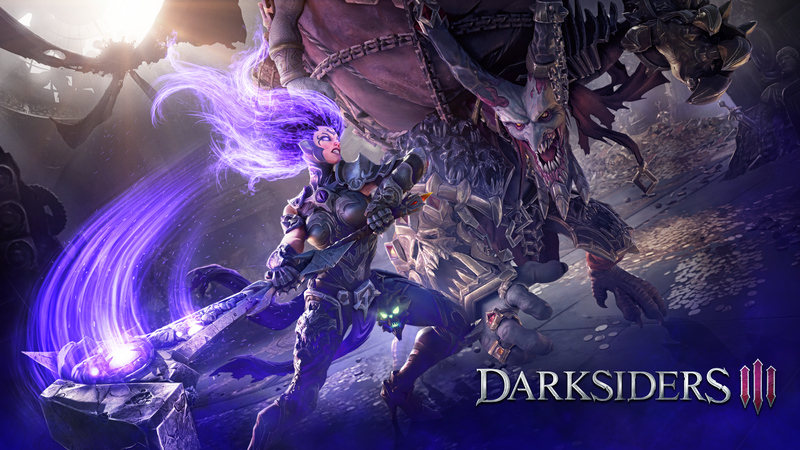 While several components of Weapon crafting in Darksiders III are clearly borrowed from Dark Souls, the Enhancement system is actually carried over from the original game. 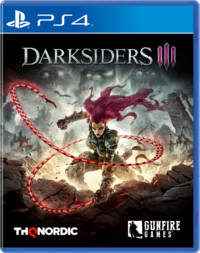 New to Darksiders III, however is the ability to upgrade enhancements. In order to max the best possible enhancement of any given type, you'll need to find the buff itself, a handful of Angelic and Demonic Relics, and finally an Essence of Chosen to unlock each upgrade to its fullest extent. Weapon Enhancement give two types of passive buffs, usually related. For instance, the Juggernaut Enhancement both increases physical damage dealt as well as reducing physical damage taken -- a perfect choice for Fury's Whip to be honest. We've found 12 unique enhancements so far. Some of them simply have to be purchased, while others are nested away in secret locations. You can equip a unique Enhancement to each of Fury's weapons, and they can be slotted in and out however often you like. Fortifier - Found early on In Haven, on the main path after the first crawl space. It's guarded by one of the first ogre type enemies you see near a red-colored web. Marauder - This is found on the path that connects the Nether to the Hollows. 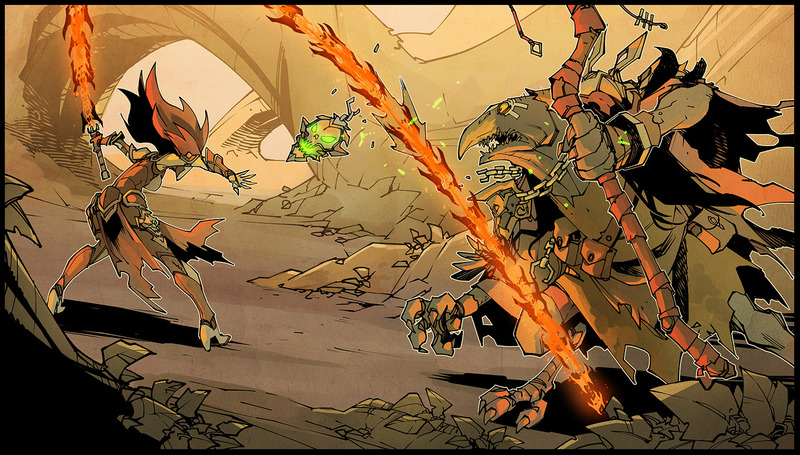 Continue on past where you first fought Wrath, and eventually, you'll end up in a room with a lava pool. This item is found on the edge of this room. Leviathan - Buy for 5000 souls from Vulgrim. Rage - Buy for 5000 souls from Vulgrim. Juggernaut - In the Nether, you'll eventually come into a room that's nearly pitch black. In this room, crawl beneath the train near where you enter, and you'll end up in a giant cave with two bomb-spider mini-bosses. This enhancement is in that area. Shade - On the path to the Maker’s Forge, keep an eye out for a tornado on the side of the path. Once you have the Thunder Hollow, take this tornado to an alternate path. Here you’ll follow a long passage, jump between two buildings, and eventually find a flooded room before a bunch of tornados strung together. Before taking those tornadoes, this Enhancement is on that upper ledge. Obscurus - In the back of the area underneath two insect nests after Hangman’s Tree point late in the Bonelands. Azazel - Underneath a purple pillar you'll have to smash aside using Force Hollow in the Depths. In the large chamber near the start of the area, after the Forgotten Lake Vulgrim point. Fafnir - Return to Usiel after the battle with Lust, and he'll reward you with this Enhancement. Fortune - Go up the Stasis Wall right at the Sewage Egris Vulgrim point in the Depths, near where you start the battle with Gluttony. Enoch - In the Hollows, before the foyer area with a statue, there's a broken staircase with a couple tornadoes overhead. Take these using Thunder Hollow, and this will be in the lava pool you swing to at the right side. Chaos - In the left area after the statue room in the Hollows, keep an eye out for a crawlspace behind some pots on your left, right before the bigger chamber full of red webbing. Follow that path to a room with a red-eyed knight guarding this. In order to upgrade any Enhancement fully, you'll need 12 each of Angelic and Demonic Relics, along with an Essence of Chosen, which are some of the rarest items in the game. They are almost always hidden behind optional mini-bosses in hard to reach areas. You'll get the Achievement Enhance! when you upgrade any Enhancement for the first time, Can You Restore the Balance? for upgrading any single Enhancement completely, and Balance in All Things for fully upgrading five enhancements. We've found 6 possible Essence of Chosen, so you won't need to track them all down if you're looking to complete all the achievements. It does mean we're six short from being able to upgrade every Enhancement fully. 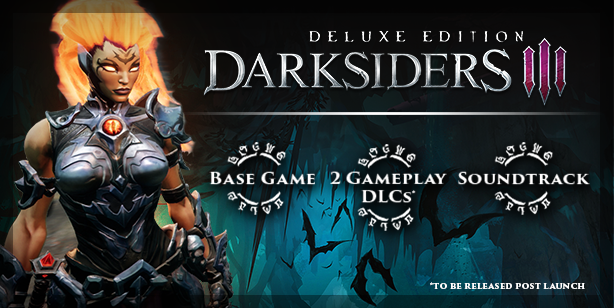 You'll earn One of the Chosen for picking up your first one. Can purchase one for 5000 souls after defeating Wrath. Haven - Use Statis Hollow to go to the top of the game’s first building. The path is in an elevator shaft on the right as soon as you enter, and you’ll have to roll along a magnetic wall. Defeat Agony at the end for it. Hollows - Past the ground level switch in the main part of the Hollows, look for a crawlspace at the end of the path, and follow it to a lever. This will open up a door on the other side of the switch, leading to the Flame Warden. Depths - Hit the two switches in the underwater temple in the first room to the left, in the Forgotten Lake area. Then follow the new path's magnet wall. Defeat Templar of the Damned. Bonelands - Near where you make Gluttony fall into the Depths from the Bonelands, look for a Tornado leading across the acid river to a flooded generator building. Follow the path until you can knock the platform Mansk enemy down from atop the purple-colored pillar, and then use it to enter at the upper level. Work your way up to the Corrupted Tomekeeper. Scar - After riding the second platform, jump off to the left, and defeat Grock. This one's hard to miss. You'll earn the Achievement Holy Keeper after collecting 50 Angelic Artifacts. Can buy 3x for 2000 souls each after each defeated Sin. Haven - Out in the open near the Crossroads Vulgrim point. Haven - From North End Vulgrim point, follow the road to the left until the end. Haven - Exit the church at South End to the left, this is at the very end of the path. Haven - From West End, follow the road to the left and Fire Jump up. Haven - On the way to the Maker’s Forge, take the tornado using Storm Hollow and follow the path until you fight an invisible enemy. It’ll be in the corner here, you may need to destroy some furniture. Haven - In the back wall of Crossroads, near an ogre, up in behind a Force wall. Haven - In the cave between the lower area under the church with tornados, behind the purple door. Use Thunder Hollow to glide to the ledge under two nests. Haven - Right after the cave above, in a corner guarded by a red-eyed enemy. Haven - Use Stasis Hollow in the elevator shaft on the right side of the game’s very first buildings. Haven - Early on in Haven, behind one of the first destroyable purple walls. The path will lead to an office room after using Stasis and Fire Hollow as well. Haven - In the left wall of Crossroads, use tornado with Thunder Hollow, enter the crawlspace, and bust down the Force wall. Haven - Stasis Wall behind a ditch with two ogre type enemies near the North End Vulgrim point. Haven - From North End Vulgrim Point, follow the road left and go up the tree path, hookshot three times to the metal ledge with a Visage. Turn around and take a new hookshot path to an upper level of the building. Smash the purple Force wall. Destroy the hives and this is on the upper floor. Have/Hollow - On the path between the two zones, behind where you first fight Wrath. Nether - Past one of the first red-eyed enemies, near where you find one of the first humans behind a crawl space (past Splintered Station). 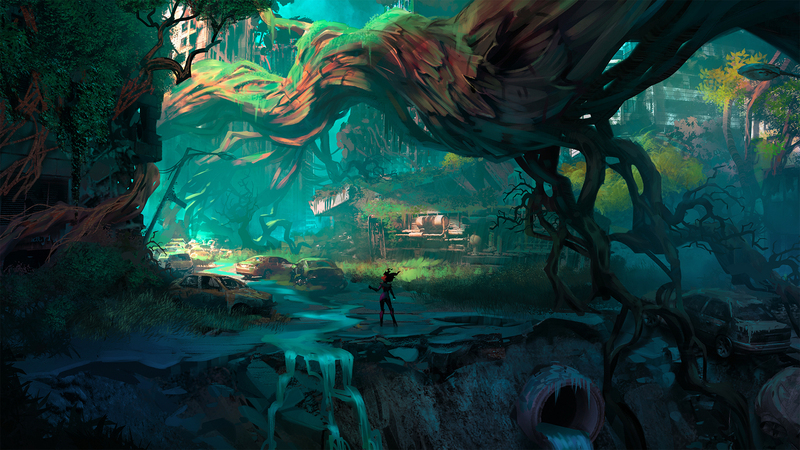 Burn the web and follow the path to the dead end with the artifact. Nether - Once you swim into the red-lit tube right before the Cistern, look up in the corner for an area you can fire jump to. Nether - On the main path after defeating Sloth. Nether - In the Tangled Grotto area, smash the purple Force wall that doesn't lead to a hole in the ground. Follow the path, fire jump up to the right, go into a crawl space, into another crawlspace on the left, and kill the red-eyed enemy guarding this. Nether - When you get to the second floor of the Tangled Grotto area, look around to the right for a path you can jump down to, in the same area as one of the more hidden humans to rescue. Nether - From the Accessway point (accessible after activating the statue in the Hollows foyer area), this will be on the main path after a magnet wall. Nether - In the Atrium of Greed after defeating Avarice. Bonelands - In the angel's base, drop down to it from the highest level. Bonelands - Return to the area with the shallow water and purple force goo bugs. When you leave the building and can see the highway again, look underneath for a crawl space, and follow the path to a vertical tunnel with a tornado and Statis Walls. This piece is on the high ledge. Bonelands - In the warehouse near the Festering Pool Vulgrim point, after unlocking the shortcut back to it, look for a hole in the wall to the left after the second grapple point. Bonelands - Above Lust's arena using a magnet wall. Bonelands - After crossing the two tornados near the Depths entrance after getting the Force Hollow, this is in the corner of the warehouse with flooded generators. Bonelands - After forcing Gluttony to retreat into its hole, follow the path, through a grate, and return to an earlier section of the Bonelands. Across the way will be a purple wall you can destroy. Bonelands - Return to the area before the angel base, to the building where there was a platform mob and two purple walls, one of which you couldn’t reach with the bug. This relic is behind it. Bonelands - Return to the area after the angel base, take the back entrance to the next building, blocked by debris, and smash the purple Force stuff, and drop down. Bonelands - Return to the flooded generator area (after Lust fight) once you have Stasis. Exit generator building to the right and at the end of the path there will be a Stasis Wall, with the Relic at the top. Depths - At the bottom of the sunken pathway leading to the Sunken Tracks Vulgrim point. Depths - Solve the puzzle of the moveable train car, up on a ledge. Depths - After you come face to face with Gluttony, follow the path to the right. Depths - After Gluttony, at the ledge where you have to combine Stasis and Fire, follow the hook shots points behind you. Follow the path to the right. 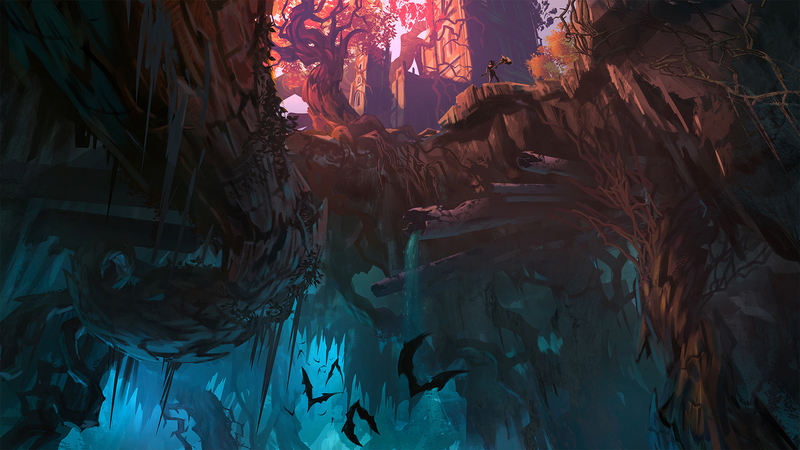 Depths - After Gluttony, you’ll see it on the main path, but you’ll fall down a waterfall before you can get to it. Just look for a Stasis Wall in the next room to get back up to it. Depths - Return to the first room of the Depths, and use the Stasis ability to walk on the water, combined with Force to break the wall in the SW corner, and then Fire Jump to it. Depths - In the room where you have to push two purple pillars underwater, one shorter one taller, there’s a small opening surrounded by blue flora. Inside is a Stasis Wall leading to the relic. You can get there backtracking from Eroded Pipeline. Hollows - Past the ground level switch, find a crawlspace at the end of the path, follow it to a lever. This will open up a door on the other side of the switch, leading to the Flame Warden, who guards it. Hollows - Molten Cave area, right near where you set the drawbridge to connect to the Blistering Bridge area. Hollows - After the foyer area with the statue, solve the puzzle behind the left switch. It will be on the left side of a hallway on your way out, before pressing a switch on the right side. Scar - Below the broken in the Drilling Annex, near a magnet wall. Scar - East side of scaffolding area, clearly visible on a ledge. FIre Jump to it. Scar - After using the tornado and magnetic wall in sequence, it’s underneath the platform, look for the Stasis Walls and go down. Scar - In between the two subway tunnels, near a signpost to your right. You can wait until Tempest is cleared for an easier time. Scar - In the annoying wind tunnel with the block at the far east end behind a wall you smash. Scar - When riding the second set of platforms and demons start throwing spears at you, just to the left using Fire Jump to get to this one behind a few enemies. Scar - After riding the second platform, jump off to the left, and defeat Grock, and then go left of the nearby purple switch. Scar - On the main path after clearing Tempest. You'll earn the Achievement Demon Keeper after collecting 50 Demonic Artifacts. Haven - Behind a red web in the pit to the right on the way to the Nether. Haven - Behind a red web pit on the left side of the main path, near where you picked up the Fortifier enhancement. Haven - In a pit with two ogres across from the North End Vulgrim point. Haven - Above the Maker’s Forge, in the holed-out building on a ledge about half way up. Haven - From the West End Vulgrim point, glide to the ledge to the left using Thunder Hollow. Haven - From the Crossroads Vulgrim point, go in the crawl space behind the web nearby, follow the Stasis Wall up, drop down another one, and go underwater. Haven - Use the tornado or Stasis Wall to get to the high ledge in the Crossroads. Haven - Near where you first use the platform Mansk enemy under the church at South End, behind a purple Force wall. Near where you first enter the Bonelands. Haven/Hollow - Past where you first fight Wrath, up where you have to Fire Jump a few times past the lava pool. Nether - Near Splintered Station Vulgrim point, use fire jump to get to the upper area, and this relic in the cavern behind where you fight the red-eyed beast. Nether - In flooded area of the Nether, behind a purple Force wall you can smash. Backtrack from Cistern and use tornado with Force Hollow to get back up. Nether - In the arena where you fight the spider mini-boss past the Cistern. Nether - To the immediate left when you enter the darkened room. Nether - Go into a crawl hole up a slanted train in the Tangled Grotto area. Nether - Behind a purple Force wall in Tangled Grotto area. Nether - In the Tangled Grotto area, smash the purple wall that doesn't lead to a hole in the ground. Follow the path, Fire Jump up to the right, go into a crawl space to reach the upper level of the Grotto. Don’t fall down any holes, and keep following the path upwards, and you’ll eventually find it. Bonelands - Crawl under a grate to the right of first red-eyed enemy in the back of the starting area. Bonelands - After the angel base, right before you drop down to the Hangman’s Tree Vulgrim point. Bonelands - Out in the open after the Hangman’s Tree Vulgrim point. Bonelands - In the warehouse after the Drowned District Vulgrim point. Look for a ledge to Fire Jump to. At the dead end to the right before burning a web. Bonelands - Once you solve the switch room with a platform Mansk enemy and two purple walls, use the Mansk to jump to a ledge above the entrance. Bonelands - After continuing on after acquiring the Force Hollow, jump across the pool of acid using two tornados and Thunder Hollow. Bonelands - Look for this nearby after forcing Gluttony to retreat into the hole leading to the Depths. Bonelands - In the area before the angel base, look for a magnetic wall in one of the buildings, and take it to the upper level. It’s the same building one of the Mansk mobs was inside. Depths - At the bottom of the lake near the Sunken Tracks Vulgrim point. Depths - Go to the bottom of the water after the Forgotten Lake Vulgrim point, look for a purple wall, follow it to the end. Avoid mines. Depths - Go to the bottom of the water after the Forgotten Lake Vulgrim point, go to the right of the sealed off temple entrance, find a back tunnel that heads underneath it. The relic will be in a small room with a mine geyser. Depths - After doing the two purple pillar puzzle, jump over the wall, near a human. Near Eroded Pipeline Vulgrim point. Depths - In the first big room of the Depths, near Forgotten Lake Vulgrim point, use the Stasis water-walking power to reach this on a visible ledge. Depths - In the first room of the Depths, use the Stasis Wall jump in an area behind the waterfalls to the north of the chamber and make your way up. Depths - Use the Stasis Wall right next to the Sunken Tracks Vulgrim point, and go into the crawlspace behind the debris. Hollows - Underneath the Blistering Bridge, in the lava. Before using the hookshot points. Hollows - After opening the first door with a switch above it using Salvation, head left to a staircase with a lava pool to your right, it’s behind the lava waterfall. Hollows - In the banquet hall area where archers shoot from above, in one of the elevated nooks. Fire Jump up to it. Hollows - In the chamber with all of the coffins after the right side switch in the foyer/statue area past the Catacombs Vulgrim point. Hollows - After the statue raises both its arms, follow them to the end, don't take the path up in the center leading back to the Nether. Hollows - In the fire area before Molten Cave, in the large chamber, immediately to the right. Scar - After the Drilling Annex, spin the tower around, and then jump up two sets of Stasis Walls. Scar - After using Thunder Hollow to glide to the ledge with the big enemy on it. Scar - In one of the subway tunnels under Tempest, near the Dust Halls Vulgrim point. Scar - From the stationary Stasis pillars before riding the platform a second time, jump over the exterior wall to an enemy guarding this relic. Scar - Take a left at the fork after the Demon’s Peak point, near a purple switch. Scar - After returning back outside after the Demon’s Peak point, look for a crawlspace to your immediate left. Scar - After riding the second moving platform, freeze the two rollers using Stasis, and grab this from under them, alongside a human to rescue. Scar - In the open after clearing out the Tempest.